Jenny Hassam is the CEO of Rhetoric PR, an award-winning PR Agency with a national footprint and a client back catalogue including Edible Blooms, Bow Wow Meow, Pregnancy, Babies and Children’s Expo and Kitchen Warehouse. She has fifteen years’ experience in strategic marketing, communications, stakeholder relations and PR built in London, Europe, USA and Australian markets. 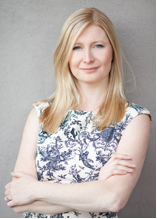 Since moving to Adelaide, Australia she has worked in senior communications and Director roles for some of the biggest organisations in Australia including BAE Systems, Australian Red Cross and Professional Public Relations. She has served as a Board Member at Eddie Rice Camps and the Association for Data-Driven Marketing and Advertising. She is an accredited and Professional Member of the PR Institute of Australia, has a Professional Diploma in Marketing from the Chartered Institute of Marketing and a BSc (hons) from the University of Southampton in the UK. Jenny is a contributor to our Boardroom Bootcamp course for the topic Stakeholder Relations. Contact Jenny via her website. What is Get on Board? Get on Board delivers education and development courses that are open to individuals from all professional backgrounds and all types of industries (public, private, NFP, sporting organisations and clubs, etc.). Get on Board focuses on aspiring directors – those people looking to join a board in the near future – and on new directors – those who are currently in their first to fifth year of sitting on a board. Everything that we do is geared towards developing the corporate governance skills, and the business, strategic and financial acumen of new and aspiring company directors. © Get on Board Australia Template Design © VibeThemes. All rights reserved.